Today is the first day that the leaves really began to fall here. I need that. I need a reminder that life goes on. I need to know that despite human foolishness and human stuborness, there is still beauty in the World. I need to know that we can’t screw it up too bad. I need to know that Gaia still flourishes. These trees here are not native to my desert, but they’ve been here for decades. Red and gold leaves, touching my spirit. I think it’s time to go the the Kaibab. 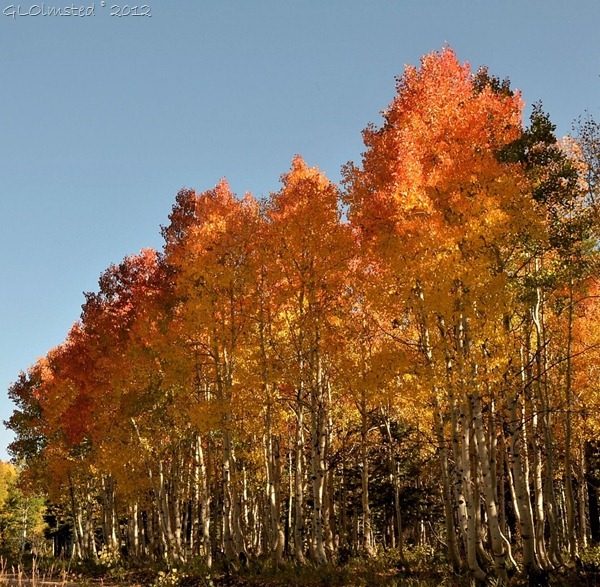 I need to hear the aspen trees there whisper one last time before winter. And because you’ve been especially good, here’s a picture I found on the ‘net. Now you know what I am talking about.